The Fresh Designs Crochet call for submissions recommends using Flickr's Guest Pass feature to submit photos of sketches and swatches. 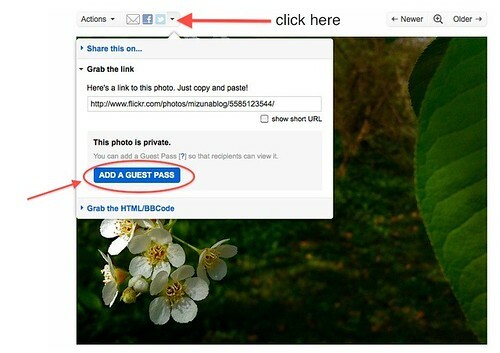 While Flickr does provide a guide to using Guest Pass, it can be confusing because it isn't really clear on the step you need to take in order to get the Guest Pass URL so that the photo(s) can be shared privately. I'll be using one of the photos in my Flickr photostream as an example. 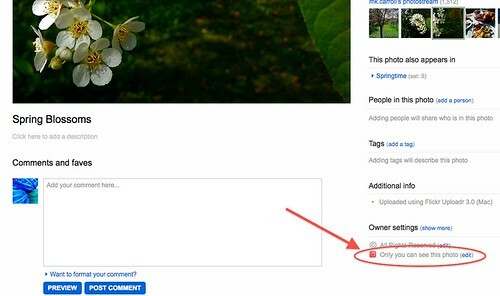 It's been set to Private ("only you can see this photo"), which is the first step. 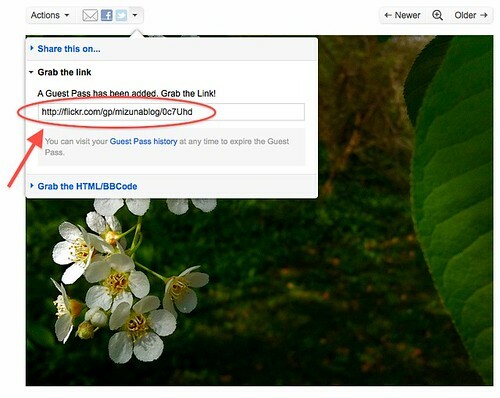 Now you should have a new link that starts with "http://flickr.com/gp/" like the one in the screenshot below.